Acute Care is typically the start of an elderly adult’s relationship with the healthcare system. This begins in the emergency setting, including illness, injury and chronic disease, and will eventually advance to critical care, general units or to the rehabilitative services. Despite the situation in which acute care is necessary, the primary goal is for the patient to achieve a normal level of functioning through quality care, preventing any further complications. Acute Rehabilitation, also known as rehab typically progresses during the final stages of and directly after Acute Care. With rehab, patients are able to benefit from an intensive, interdisciplinary approach to the delivery of their care. Rehab specialists work hand in hand with the patient to maximize their independence and achieve a maximum level of functioning. Therapy utilized in rehab is normally more intense than the services provided in acute or transitional care units, as well as extended care facilities. In order to be considered for Acute Rehabilitation, certain conditions are necessary for referral; including stroke, head trauma, neurological diseases, amputation, spinal cord injury, and orthopedic surgery. Transitional or Progressive Care helps older people get past the hurdles of recovery and back to their lives, work, family and independent living. These patients are able to be managed in a hospital based transitional care unit (TCU) or a skilled nursing facility (SNF), all on a short term basis. This option of care is perfect for those that are not stable enough to return to the home setting just yet, and are not sick enough either to require long term nursing care. Skilled care allows an older individual the time to transition from illness to wellness and becoming independent again. Long-term acute care or LTACHs provides a service of extending medical and rehabilitative care to patients with complex health issues. Older individuals that require LTACHs will usually need an extended period of hospital level care, spanning 25 days or more. Though often confused with nursing homes or rehabilitative facilities, the difference between the two is quite large. LTACHs are often stand-alone hospitals or a smaller hospital within another, for treating patients classified under intensive care for a short period of time. Each individual has their own preference when it comes to the setting to which they live, and many older adults wish to remain in their homes. If that is the case, but they have a decreased ability to maintain a certain level of independence, adult day services may be the best option. The environment of an adult day service provides is similar to a partnership with the family members and the caregivers, providing the older adult graceful age in place. Patients that can benefit most from this service are those that suffer from chronic health conditions, cognitive impairments, limited mobility or physical disabilities and safety concerns. These services and programs are also sponsored by organizations such as churches, hospitals or healthcare systems. Independent living can come in a variety of settings, including home ownership, apartment dwelling, retirement communities and subsidized housing for older adults. Most seniors rely on Social Security benefits are a large contributor for income, so it is best to make cautious financial considerations when considering housing options. For those with limited income, subsidized housing is an option to consider, however such housing is limited in number. Assisted Living Facilities come in a variety of forms, assisted and provide security for those that do not feel safe living alone. Residents of ALF’s typically maintain some independence but require assistance with activities of daily living (ADL’s). These facilities replicate typical apartment set ups but allow its residents to move and socialize in a safe and protected environment. As the range of care increases, it is may be necessary to find an alternate living arrangement such as a long-term care facility. Continuing Care Retirement Communities or CCRC’s can span from independent living to skilled nursing, and traditionally take place in a nursing home setting. The level of care will depend on the older adult’s needs. And this type of service makes transitioning to a higher level of care for the older adult much easier considering they will be in familiar environments. Group Homes have a number of older adults living in one home, and require licensing in order to operate or provide care. A majority of patients who use foster care or group homes typically have no trouble performing ADLs, however they do require assistance or cueing with daily activities including bathing, dressing or taking medications. The foster care set up allows older adults to live in a safe, personable, family-like environment. Long term care facilities (LTCFs) are popularly known as nursing homes, and provide a service for patients who are unable to perform self care due to disability, illness, or advanced dementia. These patients require the complex medical attention that LTCFs can provide. Those that oversee patients and ensure they receive proper care are registered nurses and they remain on standby 24 hours a day, 7 days a week. One of the most common residents of long term care facilities are patients suffering from middle to late Alzheimer’s disease and other forms of dementia. Home Health Care is typically used by patients who are homebound or are immobile due to the severity of their illness. This type of care is one of the most sought after services for older adults. When care is able to be provided at home, it greatly improves the quality of life and increases the likelihood that the patient will remain independent and active. Usually, Home Health is handled by a registered nurse, and is perfect for individuals who are undergoing wound care, intravenous therapy, management of diabetes complications and tube feedings. Hospice is based on the notion of caring for a dying person so that they are able to “live until they die.” Thus, focusing on the quality of the older person’s remaining months, weeks or days. There are health professionals who specialize in end of life care that can make the patient’s final moments of life as smooth and comfortable as possible. Typically, pain management and comfort care are the standards upon which treatment is based in order to make death a comfortable and easy transition not only for the family but the patient as well. 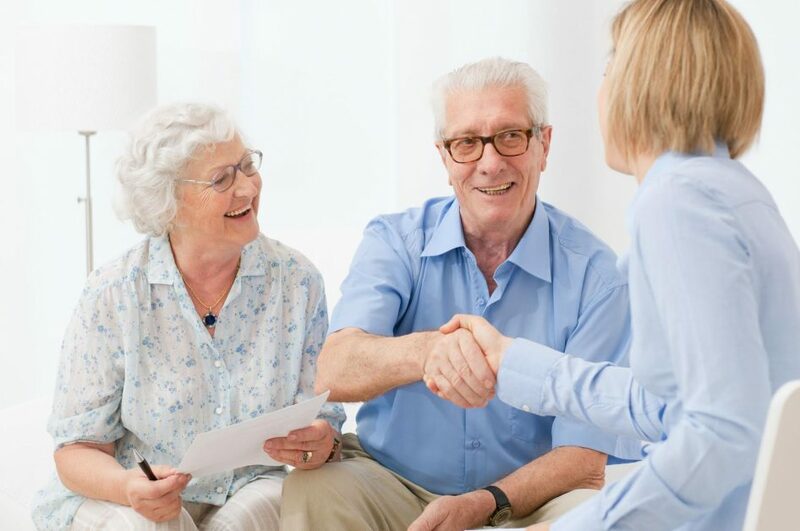 If you or a loved one needs care beyond what is able to be given at home, please contact one of our Senior Living Consultants and we will be happy to help you navigate through this process.